A 24-year-old Aurora man was shot and killed while sitting in a vehicle behind his East Side home on Sept. 28. 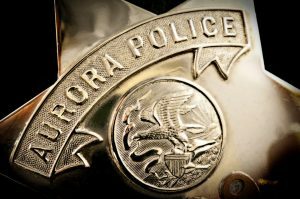 According to Aurora Police Department spokesman Dan Ferrelli, the victim, Rene Ibarra, of the 200 block of N. Union Street, was sitting in a car with a 21-year-old man around 11:40 p.m. when a third person approached the vehicle armed with a handgun. Ferrelli said the shooter fired several shots, striking Ibarra multiple times. The 21-year-old man Ibarra was with was not injured. Following the shooting, the suspect ran to a large, light-colored SUV, similar to a Cadillac Escalade, that had been waiting nearby. The car fled northbound on Union Street to Eastbound Liberty Street. Ferrelli said that the 21-year-old man with Ibarra started to drive to an Aurora hospital for help, but flagged down an Aurora Fire Department ambulance near Flagg and Union Streets. Ibarra was transported by paramedics to the hospital where he was pronounced dead. Police said there is no definitive suspect description. A definite motive has not been established, but gang motivation has not been ruled out, Ferrelli said. If you have any information, call Investigations at 630-256-5500 or Aurora Area Crime Stoppers at 630-892-1000. Callers to Crime Stoppers stay anonymous and qualify for a cash reward if their tip leads to any arrests.